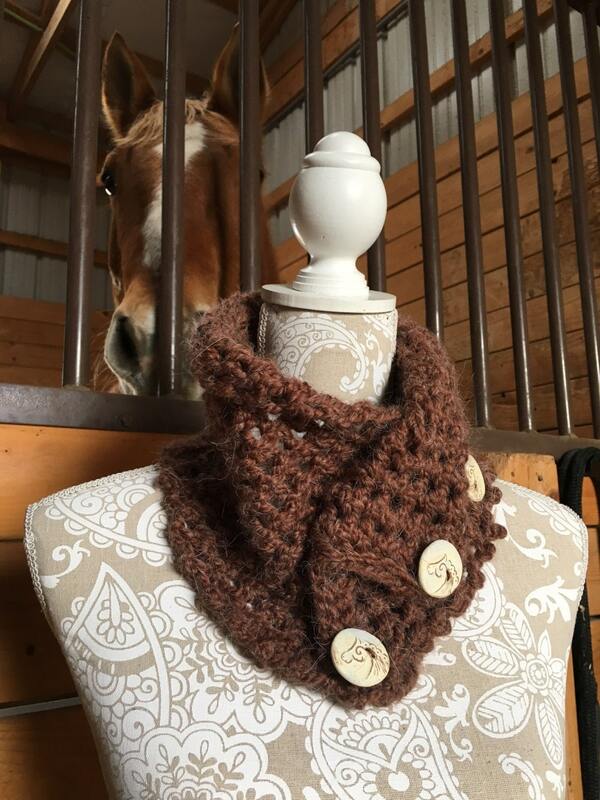 The Cripple Creek Cowl is fun to knit and uses the interesting, yet easy, Rivulet Stitch pattern. I love this stitch pattern because it’s simple enough to do while watching television and quick enough that you can knit up a cowl in an evening or two. 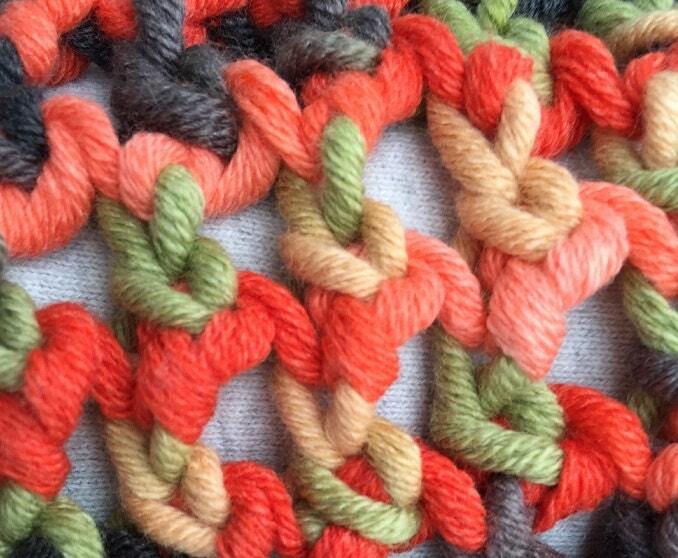 The other thing I love about the Rivulet Stitch pattern is that it’s reversible. Though the two sides are similar, one side has a more pronounced “little river” thread running through the fabric. It looks good either way. 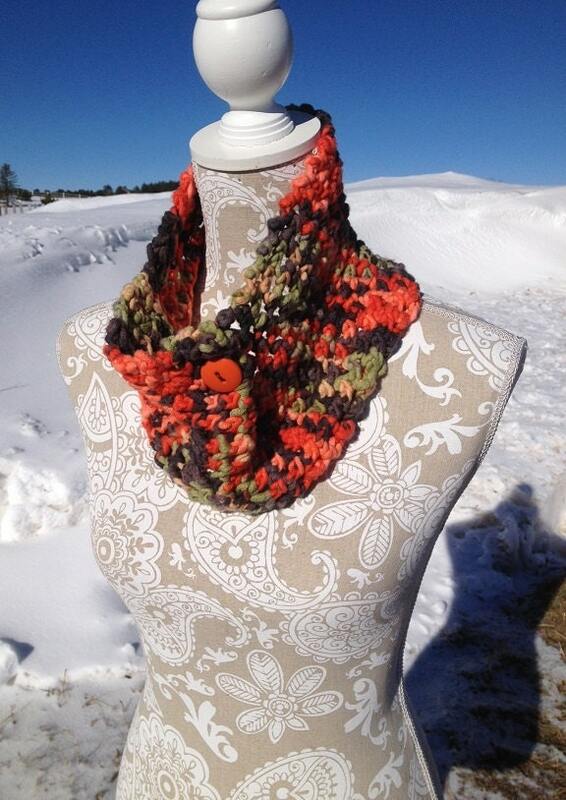 The orange variegated cowl sample was knit with 80 yards of Yarn Bee Calcutta Chunky, a #5 bulky weight cotton/acrylic blend. 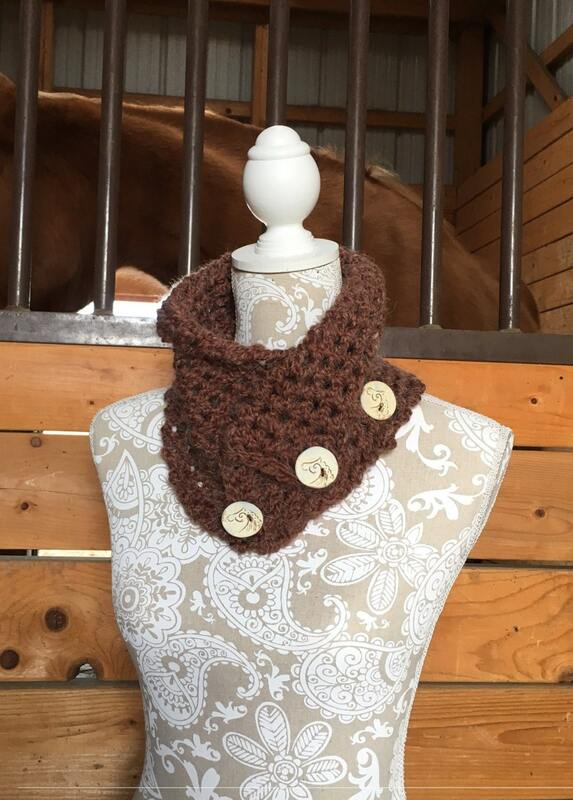 The brown scarflet sample was knit with 80 yards of Buttercream by Luxe Craft Alpaca Solid, a #6 super bulky weight alpaca/acrylic blend. The cowl is knit as a flat panel on any 3/4” gauge loom, like the yellow 41 peg Knifty Knitter round loom. The pattern includes a picture tutorial to guide you step by step through the two rows of the Rivulet Stitch. 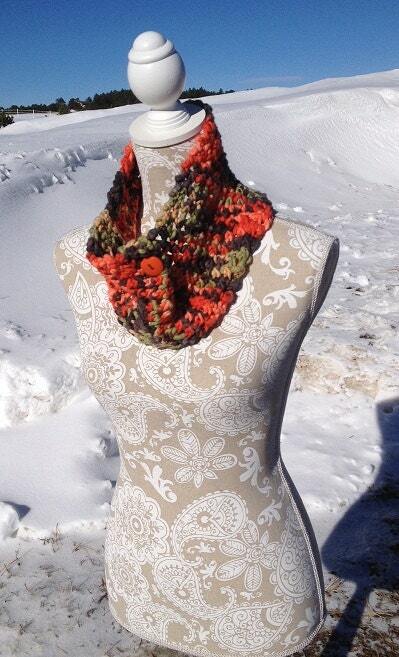 The pattern is suitable for an advanced beginning loom knitter who can confidently e-wrap knit and purl.